Dealing most often with prepared guitar in improvisational group settings, O'Rourke has also released a fair bit of material as a soloist, although more often in the electro-acoustic/musique concr?te vein. He's collaborated with such contemporary improv heroes as Derek Bailey, Henry Kaiser, Eddie Prevost and Keith Rowe (of English improv group AMM), KK Null, David Jackman (Organum), and early krautrock experimentalists Faust. O'Rourke is also engaged in an ongoing exploration of experimental rock as a member of Gastr Del Sol, who've released albums through the Teen Beat and Table of the Elements labels. Beginning with guitar at the age of 6, it wasn't until his collegiate career at DePaul University that O'Rourke's interest in the less obvious possibilities of the instrument led him through the early catalogs of the post-classical and electro-acoustic traditions. While at DePaul, O'Rourke completed much of the work that would constitute his first few releases. He also had the opportunity to meet up with noted improvisational guitarist Derek Bailey, whose invitation to O'Rourke to play at the British improv festival Company Week led to further collaborative projects with Bailey, Henry Kaiser, Eddie Prevost, and David Jackman. O'Rourke began working with Dan Burke's Illusion of Safety project in the early '90s, releasing three albums through Staalplaat and Tesco, before moving on to form experimental "rock" group Gastr Del Sol with David Grubbs. 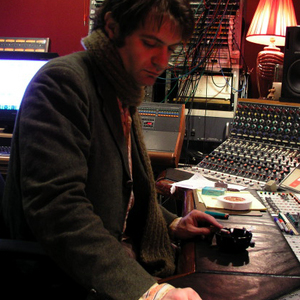 Although focusing more on collaboration after a string of solo releases in the early '90s, O'Rourke has shifted back to solo work of late, releasing Terminal Pharmacy through John Zorn's Tzadik label and completing commissioned pieces for the Kronos Quartet and the Rova Saxophone Quartet. In 1995, O'Rourke was invited by German experimental electronic label Mille Plateaux (Oval, Steel, Microstoria) to conduct an extended remix of their entire back catalog. He also produced and co-wrote a good portion of innovative German outfit Faust's Table of the Elements release, Rien. O'Rourke is also noted for his work as a producer. This role led to another project during the mixing of Wilco's Yankee Hotel Foxtrot, when O'Rourke combined with Jeff Tweedy and Glenn Kotche to form Loose Fur.